This is the hall you are looking for…. 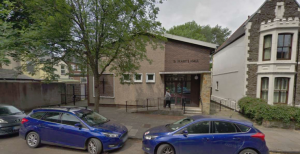 The hall is on Talbot St. in Canton very near St. Mary’s Church which is on the corner of Talbot St. and King’s Rd. There is a large car park just 5 minutes walk away at CF11 9DX (Free in the evenings). You can enter this car park both from Severn Rd and Wyndham Cres. 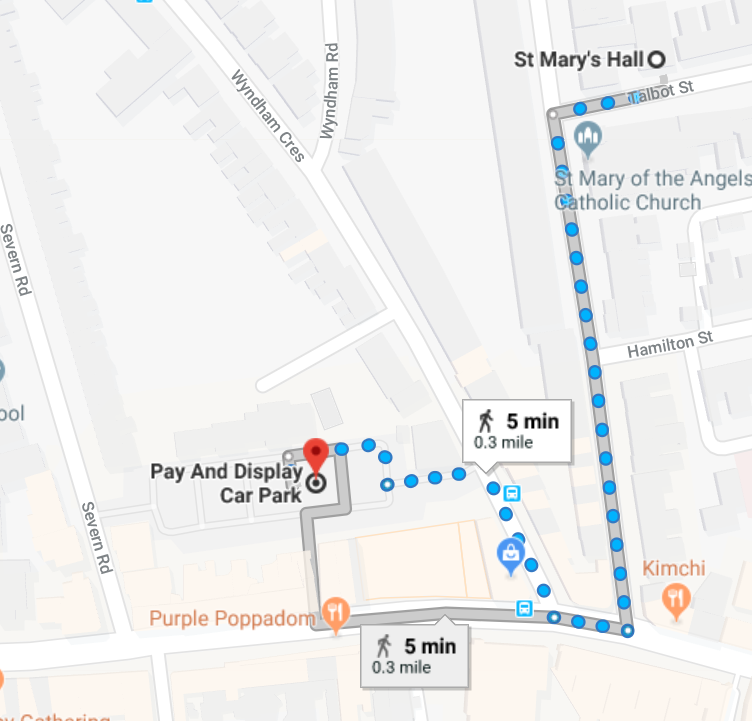 There is also limited street parking and there are other car parks nearby. The bus stop on Wyndham Cres. is served by the 61 bus and on Cowbridge Rd. there are buses nearly every 10 minutes including routes 17 and 18. 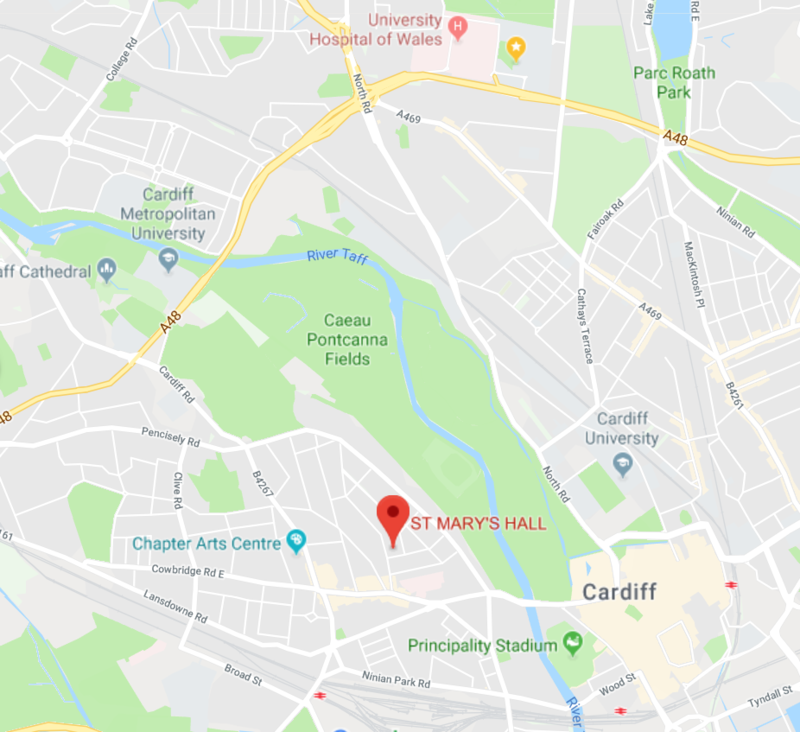 The hall is about 20 mins walk from Cardiff Central station.